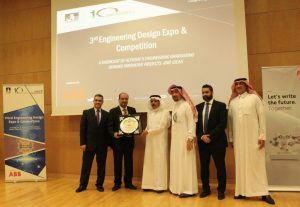 On Thursday, April 26th 2018, the College of Engineering at Alfaisal University held its Third Engineering Design Expo and Competition. The event showcased graduation capstone projects across the College’s five engineering programs. 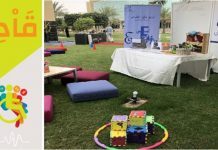 The projects emphasized relevance to the local society, as well an understanding of state-of-the-art engineering practices, technologies and trends. 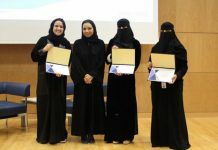 Students presenting their work demonstrated both capabilities to pitch their ideas and products, as well as good knowledge of their respective field. ABB Saudi Arabia thankfully sponsored the event. The country Manager of ABB Saudi Arabia, Eng. 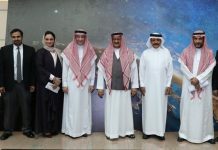 Mohammed Al-Masry led the ABB delegation. He was impressed by the students’ work and presentations. He also indicated enthusiasm in participating in future events. The capstone project competition featured work from undergraduate students where the students presented their work to an audience made up of fellow students, potential employers, and professors. 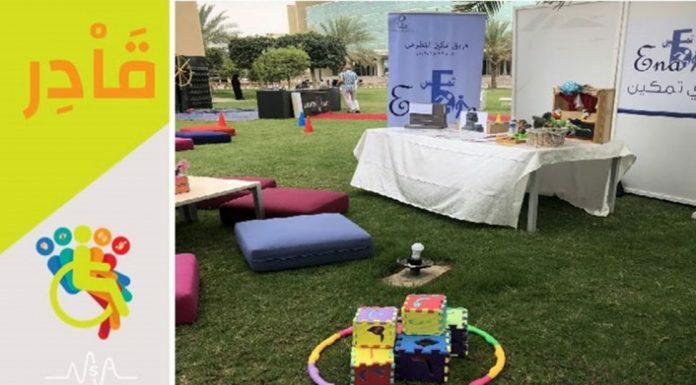 The competition had five tracks; each track represented an engineering discipline; namely, Architectural Engineering, Industrial Engineering, Mechanical Engineering, Electrical Engineering, and Software Engineering. This year, 107 students, majoring in every engineering discipline offered by the College of Engineering, demonstrating 36 completely original engineering projects, some of which will hopefully go on to be commercial products. 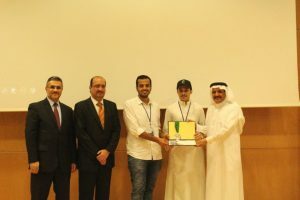 The President of Alfaisal University, Prof. Mohammed Alhayaza, attended the event and handed the awards to the winning teams during the closing award ceremony. The Acting Dean of Engineering at Alfaisal University, Dr. Muhammad Anan expressed his deep appreciation and sincere gratitude to ABB, faculties, students, industry partners, organizing team, the Facility, IT, and PR departments, and to Alfaisal’s leadership for their unlimited support. 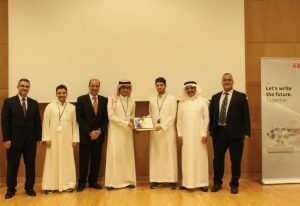 Seminar on Health, Safety, Environment, and Quality from Riyadh metro project. Seminar on Machine Learning by Electrical Engineering Alumni Eng. Reem Mahmoud.